The prime minister was on hand in Vancouver Monday to celebrate the announcement. A sign outside the Amazon corporate office building in Sunnyvale, Calif. The company announced Monday it is expanding its staffing in Vancouver by 3,000, bringing its Canadian staff total to around 6,000. VANCOUVER — Online retail giant Amazon has announced it will expand its Vancouver technology hub and create 3,000 new high-tech jobs. 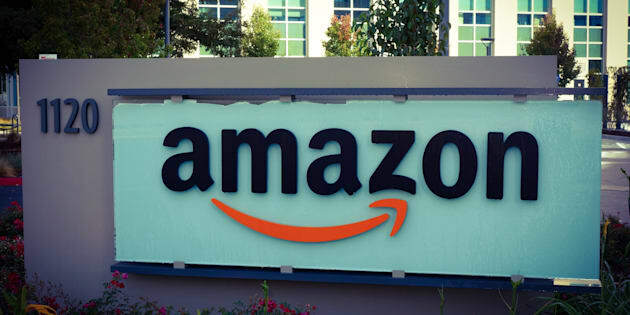 Amazon's general manager of web services, Jesse Dougherty, said the new corporate positions will be focused on e-commerce technology, cloud computing and machine learning. The employees will be working in a new 38,000-square-metre office tower the company plans to build on the site of the city's old post office. The structure's architectural heritage will be preserved, and the tower is expected to open in 2022, Dougherty said Monday outside the former Canada Post building. "We chose to build and grow in Canada because we recognize the diverse and exceptionally talented workforce here,'' he said. Jeff Bezos' Net Worth Soars To $134 Billion After Announcing 20% Price Hike For Amazon Prime In U.S.
"We've hired many graduates from schools right here in British Columbia,'' he said, citing the University of British Columbia, Simon Fraser University as well as the universities of Toronto, Waterloo, and McGill.